MacArthur has two children adopted from South Korea. MacArthur had choice words for Schiff, who is the ranking member of the House Intelligence Committee. Schiff’s tweet Thursday mentioned multiple Republicans. The tweet was still up as of Friday afternoon after MacArthur told Schiff he should apologize to MacArthur’s children. 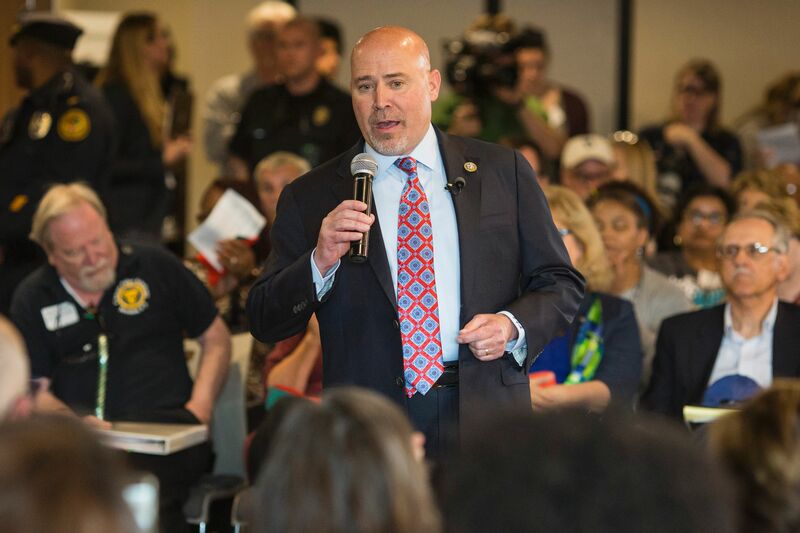 US Representative Tom MacArthur (R-NJ) speaks to constituents during a town hall meeting in Willingboro, New Jersey on May 10, 2017. MacArthur’s race against Democratic challenger Andrew Kim is ranked as a toss-up by Real Clear Politics. Schiff is running for reelection in California’s 28th district, which the Cook Political Report rates as solidly Democratic. TheDCNF reached out to Schiff for comment but did not receive a response in time for publication.